Anyone want to join me on this beach? It is 9:20pm and my house is blessedly quiet for the second night in a row except for the music I have playing. Everyone is asleep but me, I have a pint in hand, and all is well. I have reached the point in the summer when I am tired of vacation and family time. I need my kids to go back to school and I need to get back to my regularly scheduled work and writing time. I never write much in the summer. I am too busy breaking up fights and trying to entertain children who are stuck inside because outside resembles the surface of the sun. I live in Houston and that is not an exaggeration. I love my boys, but yesterday, I told G I did not like him much at the moment and could he please get out of my face and go to another room. I need a time out. Obviously. With beer. Of course. Starting the last Friday in August, I will be giving away an ebook of something I have read recently and enjoyed to someone on my newsletter list. What? You are not on the list? Get a full dose of harpies once a month or so and maybe win a free book by signing up now. 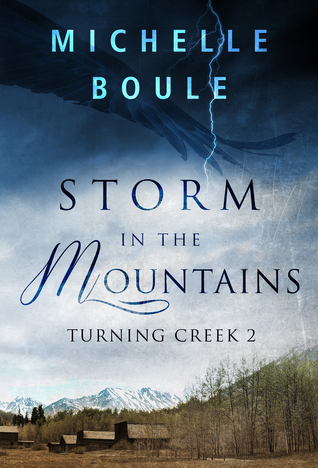 I am also currently running a Goodreads giveaway for Storm in the Mountains. Soon, we will be back to regular posts around here, Mythology Mondays and the other shenanigans you love. I have to get these kids to school first.